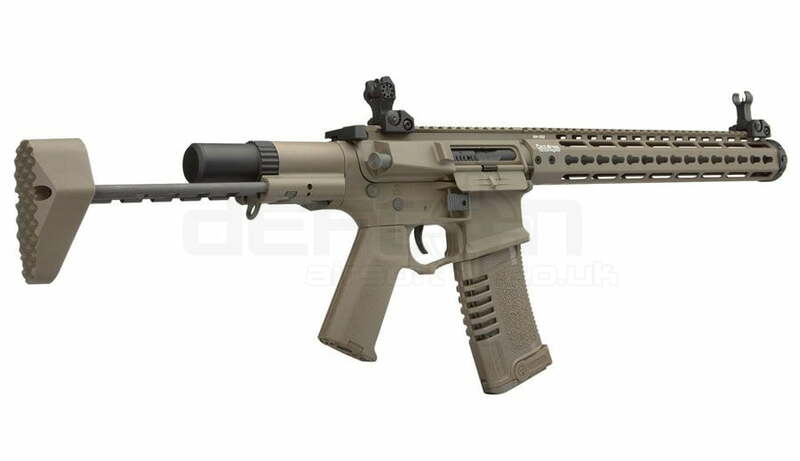 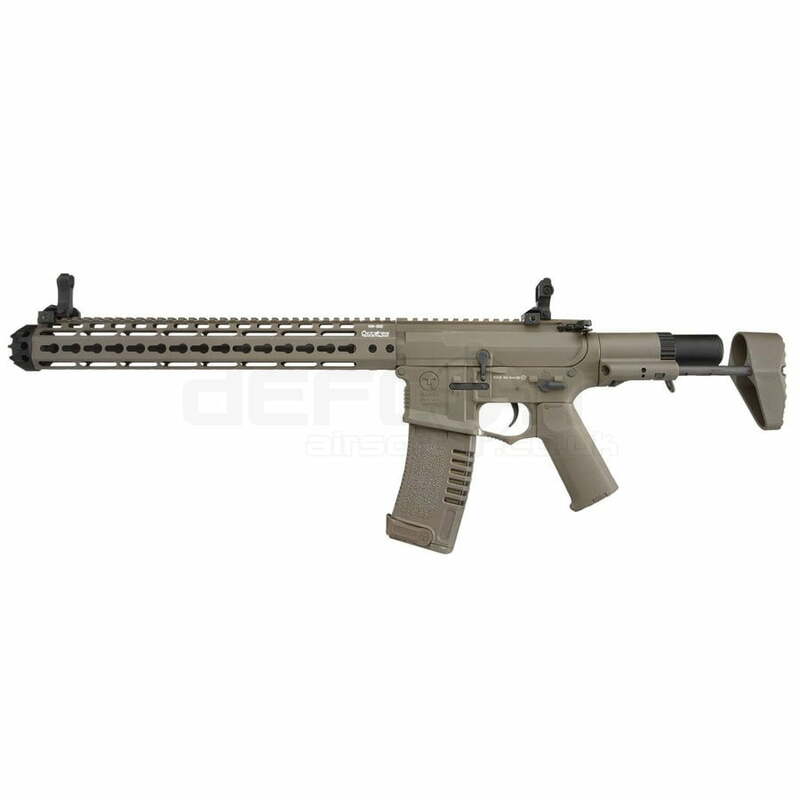 The real AAC Honey Badger PDW is an CAR-15 based assault rifle / PDW in caliber .300 AAC Blackout produced by Advanced Armament Corporation, a subsidiary of Freedom Group. The weapon is named after the honey badger. 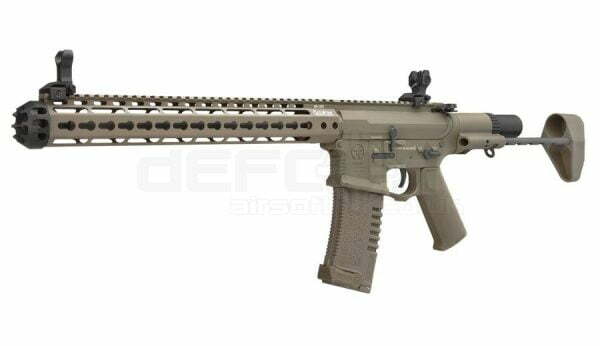 The Honey Badger was developed with a standard M4 upper and lower receiver, a short barrel with a very short gas impingement system and fast rate of rifling twist, integrated detachable customized suppressor, and a proprietary buffer tube and collapsible stock featuring two prongs. 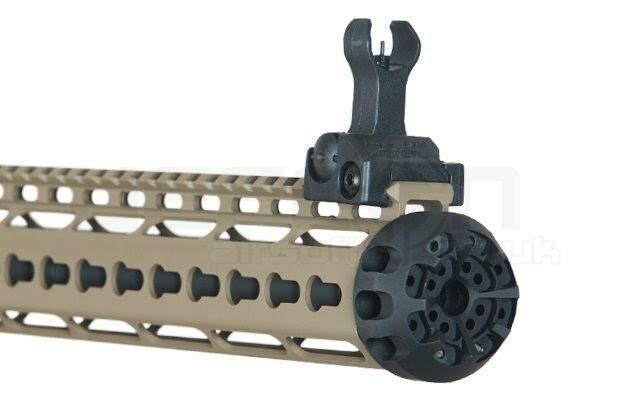 While with the added suppressor it is 3-6 inches longer than the MP5-SD, the weight is nearly identical unloaded. 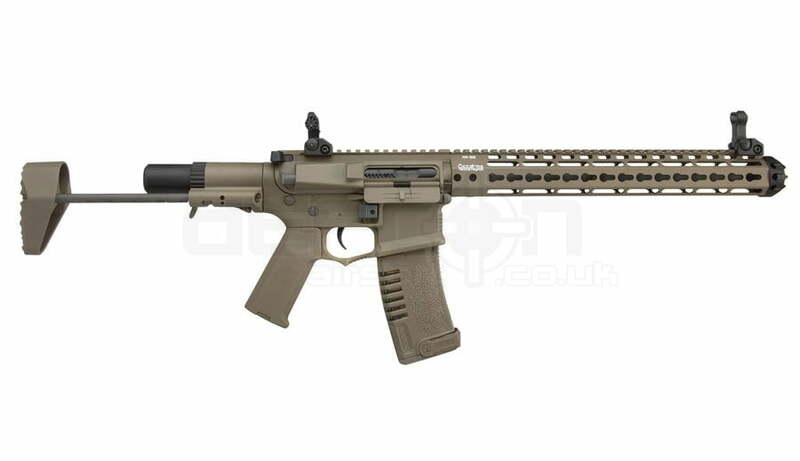 The rifle is based on the AM-013 Honey Badger M4 design, but has taken it to the next level by taking feedback on the previous build and redesigned it to imrove on every aspect. 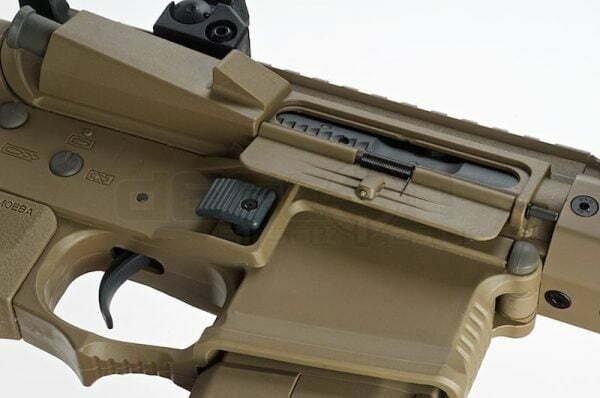 The AM-16 is an amazing development of the Honey Badger, not only incorporating everything you’d expect from an AR Platform weapon, but incorporating all the features which put them leaps and bounds above other rifles in this price range. 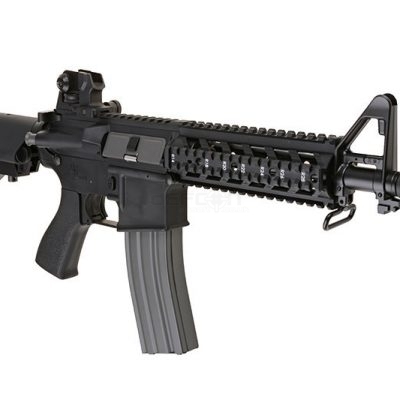 The AM-16 is part of the Ares Amoeba line with a polymer body, stylish extendable stock, a free float hand guard and mock suppressor protruding out the front. It works with the ARES / Amoeba Electronic Gearbox Programmer for ARES Electronic Firing Control System Gearbox so you can set your AEG to burst fire if you prefer. 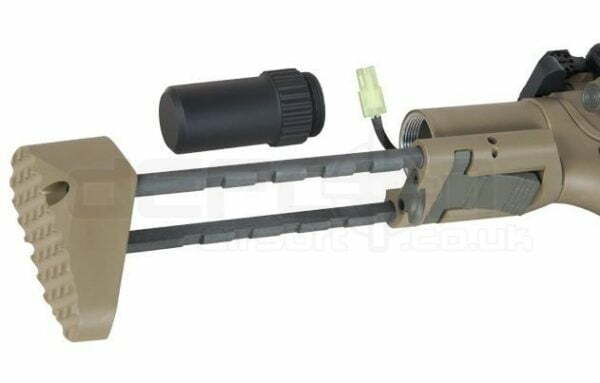 The trigger response is excellent and works best with a LiPO battery.